I am excited to see this web site created by the United States premier museum. Museum collections tend to be vast and hard to show to the general public. So many specimens are kept in storage and probably hardly seen even by researchers and curators. 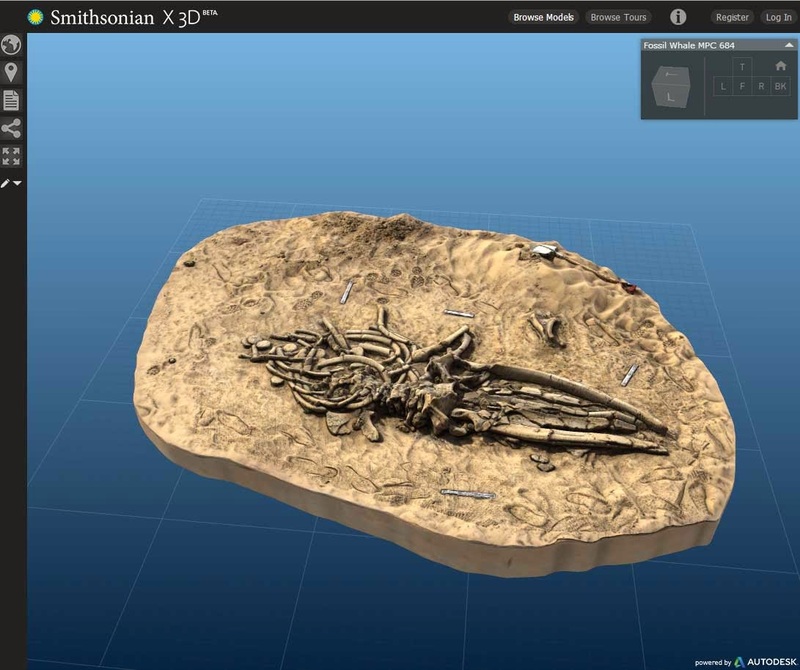 3D technology and the Internet have a way of unlocking these collections for a large segment of the population to share in the wonders of all these artifacts. Go to their web site at http://3d.si.edu/ to check it out! As of this writing they have 20 models to view including 3 whale fossils and a mammoth. 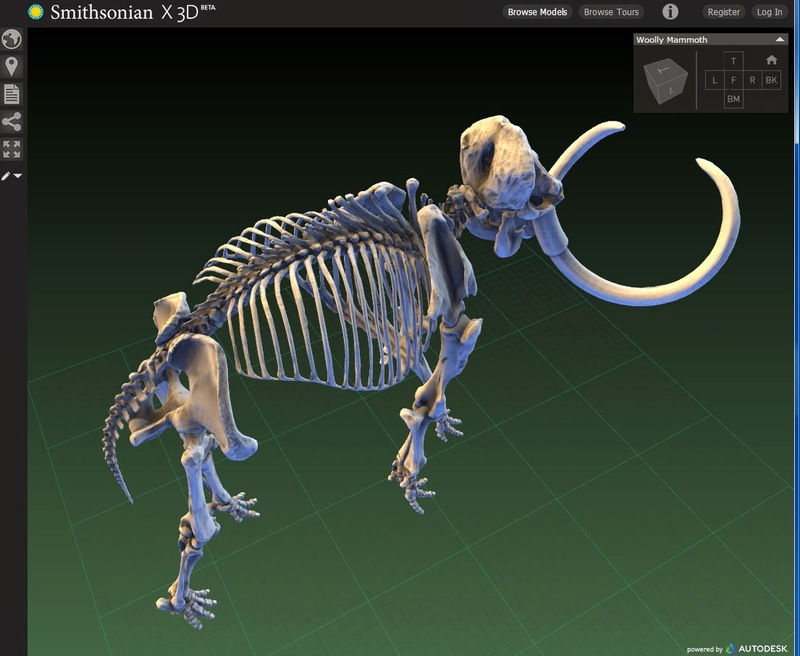 In order to view the Smithsonian X 3D Beta site your browser needs to support WebGL. As of this writing Google Chrome (version 30+) and Firefox (version 24+) can be used. Internet Explorer 11 when released should work. Apple Safari needs to have its default setting change to Enable WebGL. Apple iOS does not support WebGL right now. The interface is smooth and rotation allowed with 3 axis rotation. It says powered by Autodesk and the software reminds me of using the Autodesk Maya program. Below are some links to their YouTube videos describing the system.